I like to make homemade Halloween cards that are fun. 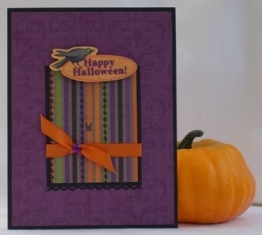 Find creative Halloween card ideas and examples of handmade cards for making greeting cards. Halloween is the time of year when ghosts, bats and pumpkins are all around us. 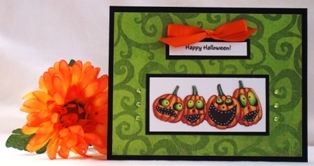 I love making Halloween cards because of the bright colors and fun images you can use. Here is a Halloween card where I've combined two paper prints and added a dimensional sticker of a bat. For this happy Halloween card, I was inspired by a sketch I found in an ebook I purchased called 50 Card Making Sketches. It's a little bit different than the sketch but that's what's great about sketches is that you don't have to follow it exactly that way it's drawn out but it gives you great ideas to start off with. 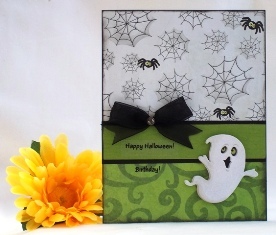 Here's a Halloween birthday card using the same sketch but with different paper and embellishments. This sketch works well for homemade Halloween cards or cards for other occassions. 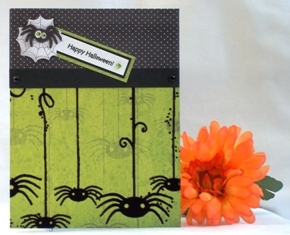 For my Halloween card craft, I used a spider web print for the top portion and a green print for the bottom. I divided both prints with a green and black strip of solid paper. Here's a Happy Halloween Card that's pretty simple. I started with a blank black card and then placed green pattern paper over it. I like using blank cards for my homemade halloween cards because it makes assembling my cards faster. Go to handmade card I then took a die-cut image of a row of pumkins and taped it over white paper and then taped it over black paper. I printed the sentiment on light cardstock paper on my computer and placed it over a small black piece of paper. There are so many paper prints to choose from to make cards for Halloween. I found a paper stack that coordinated with my stickers and that's how I was able to come up with this card making idea. 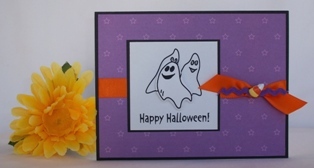 Go to Halloween card idea It's hard to see but I used a zigzag border punch on the black paper strip and added a strip of purple satin ribbon. Here's another idea to make unique Halloween cards. 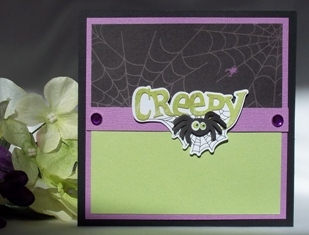 This card was inspired by cards I had made for other occasions so I thought it would work well for a Halloween card. 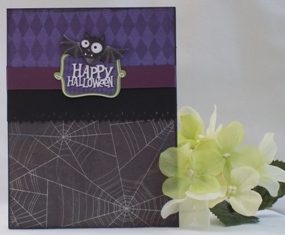 I loved the spider border print on this Halloween paper that I found in my paper stack. Scrapbooking and card making share most of the same supplies so you can take remnants of your scrapbooking materials to make some great handmade greeting cards. 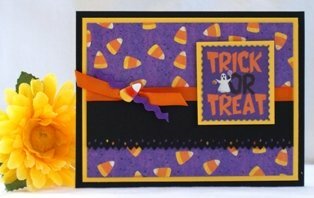 Lately, I've been turning to a card making software program for my homemade Halloween cards and ideas. 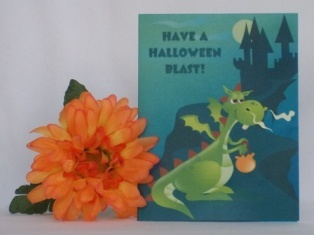 You can create lots of your own Halloween card designs with eCard Wizard or use their existing templates. 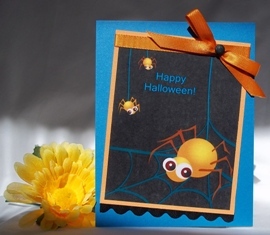 Handmade Halloween cards can be made quickly with a software program. Using eCard Wizard, I was quickly able to make a Halloween card using one of the templates. After I printed the card out, I folded it and then trimmed the excess paper along the edges. For this handmade Halloween card, I used one of the existing templates and then deleted the vampire image that was included in the design. On a separate page I picked the vampire graphic that's included in the eCard Wizard libray then I carefully cut the vampire image. Afterwards, I taped it with foam tape onto the background image. I added ribbon and a brad for my embellishments but you can use whatever embellishments you have for your paper card making ideas. 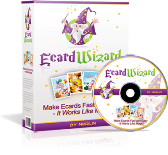 You can make Halloween cards using ecard Wizard's images from its image library. To build your own Halloween card like mine, pick the trick-or-treating ghost image from the image library and then add the text "BOO". First I created a square and then added the ghost image. Finally I typed "BOO!" next to the ghost. Trim the square using the lines as cutting guidelines. 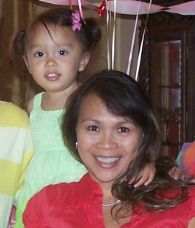 After you cut it, tape it onto colored paper so that the colored paper creates a border. 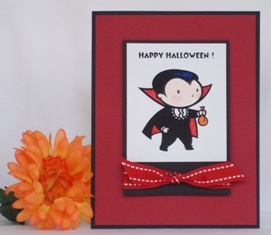 For Halloween card ideas, try buttons for embellishments. These candy corn accents are actually buttons and I used a wire cutter to cut the shank on the back of the button. 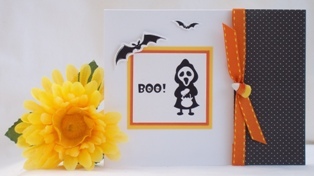 Making Halloween cards using a sketch is another way you can quickly come up with card design ideas. 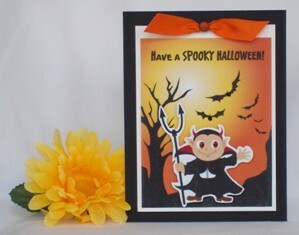 I used an ebook called 50 Card Making Sketches for this Halloween card making project and the one below.